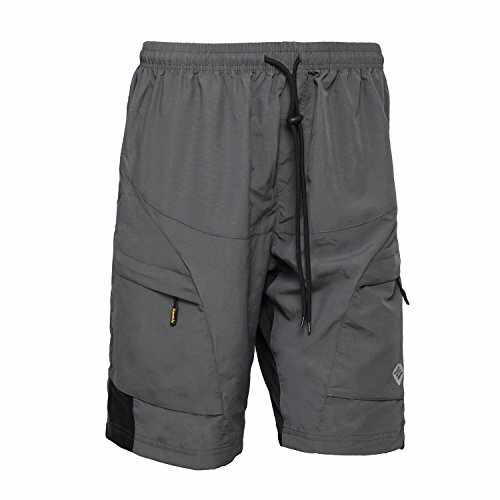 Liner Machine washable Durable outershorts with detachable Coolmax multi-density, and multi- stretch 4D Gel padded lyrca inner shorts Wide comfortable elastic waist with adjustable drawstring: Both legs have reflective piping which are added for safety during dusk and night. 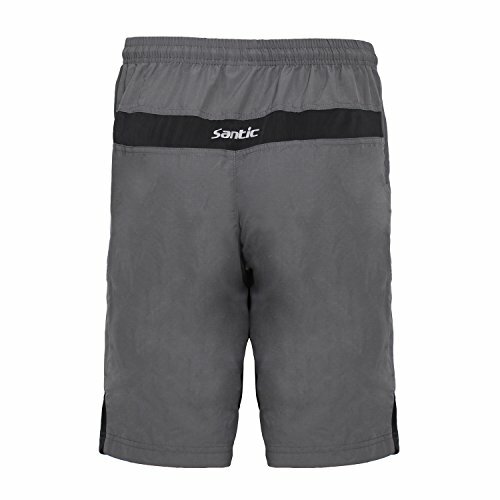 For more than a decade, holding consumer-oriented principle, SANTIC provides suitable and professional technological sports equipment for sports enthusiasts, creates free and comfortable sporting experience and enhances the fun of sports with its passion, design and continuous innovation.LIGHTWEIGHT AND BREATHABLE: The quick-dry material disperses sweat away from the shorts, for a smooth, dry ride, High elasticity provides extra comfort, perfect for extra long cycle rides, our shorts are ultra-thin, lightweight and wear-resistant, manufactured from premium, breathable polyester and can help minimize wind resistance for your best performance! 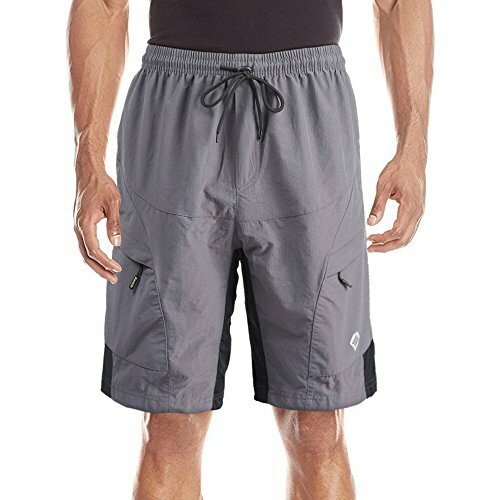 TWO ZIPPERED POCKETS: These Men’s Bike Shorts have Two zippered pockets, enough to hold your phone, keys or other essentials. Protect your belongings from loss while you the cycling for long distances. 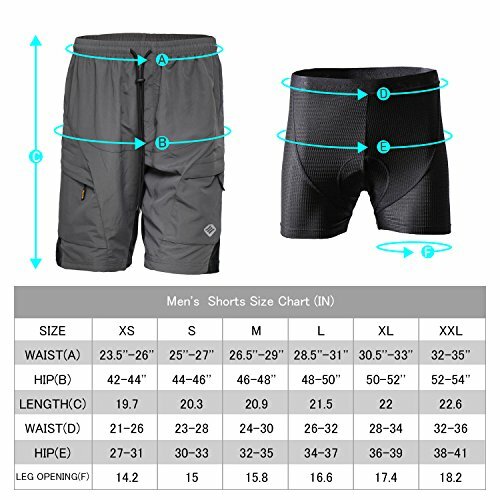 NOTICE SIZE CHART: U.S. ( XS/ S/ M/ L/ XL/ XXL) Please refer to the (detailed dimension drawing Description or main map) Due to the Asian size about one size smaller than US size, PLEASE ORDER ONE SIZE LARGER THAN you NORMALLY WEAR. CARE INSTRUCTION: Our SANTIC Cycling Shorts are made of nylon which is super easy to keep clean and fresh for daily use – It is FULL MACHINE WASHABLE. Normal temperature washing – the highest temperature of 30 ℃.Cold ironing – the highest temperature of 110℃. Do not bleach and dry cleaning. 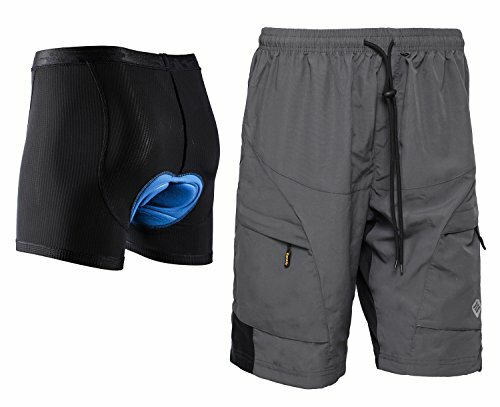 CUSTOMER SATISFACTION GUARANTEED: Please check the Size Chart before ordering the biking shorts, 100% Satisfaction Guaranteed. All orders We accept at 90 days free returns and money back guarantee. If the size doesn’t fit? No worries, all our products are fulfilled by Amazon and therefore eligible for free returns if the sizing is not what you expected. Enjoy your absolutely RISK-FREE purchase for this special price today. April 19, 2019 admin Comments Off on RocRide Cycling Gloves with Gel Padded Protection. Road and Mountain Biking. Half and Full Finger Men, Women and Children Sizes. RocRide Cycling Gloves with Gel Padded Protection. Road and Mountain Biking. Half and Full Finger Men, Women and Children Sizes.